WASHINGTON, D.C., February 16, 2018 – (RealEstateRama) — The Subcommittee on Water, Power and Oceans held an oversight hearing on the state of the nation’s water and power infrastructure. Duplicative and cumbersome federal permitting processes have stifled the development of new water and power infrastructure throughout the West and impeded the modernization of existing facilities. “Environmental reviews and the federal permitting process for infrastructure projects are at the center of the regulatory problem,” Research Fellow in Agriculture Policy for The Heritage Foundation Daren Bakst argued. In California, the current water system was designed to serve 22 million people, yet the State currently has 39 million residents and is expected to double in population by 2050. Despite growing demand, the “analysis-by-paralysis” nature of federal permitting has kept projects at a standstill. For example, the proposed Sites Reservoir in California has been under environmental review for more than a decade. “[We] need to look at creating new processes and tools that can help us and our federal, state and local partners accomplish our goal of successfully building and operating this new large reservoir storage project,” General Manager of Sites Project Authority Jim Watson stressed. Bakst attributed the nation’s aging water infrastructure to the explosion of paperwork and costly, time-intensive analysis requirements under the National Environmental Policy Act (NEPA) and other environmental statutes. “Unnecessary federal red tape does not protect species, eliminate water pollution, or provide cleaner air. It does however make it more difficult for water and electricity to be provided to Americans,” Bakst said. Chairman Rob Bishop (R-UT), questioned Baskt if it would be beneficial to establish a process where a lead federal agency is identified for NEPA review. “That would go a long way in achieving the objective and helping reduce the unnecessary duplication and red tape that exists with NEPA,” Baskt answered. The Trump administration’s infrastructure plan included a “one agency, one decision” proposal, among other reforms, to boost efficiency in permitting reviews and project approvals. 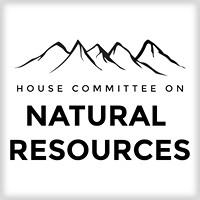 “It is encouraging that we now have an Administration [that] understands that federal permitting reform must be the first thing we address if we want to get serious about addressing our nation’s infrastructure needs,” Subcommittee on Water, Power and Oceans Chairman Doug Lamborn (R-CO) stated.